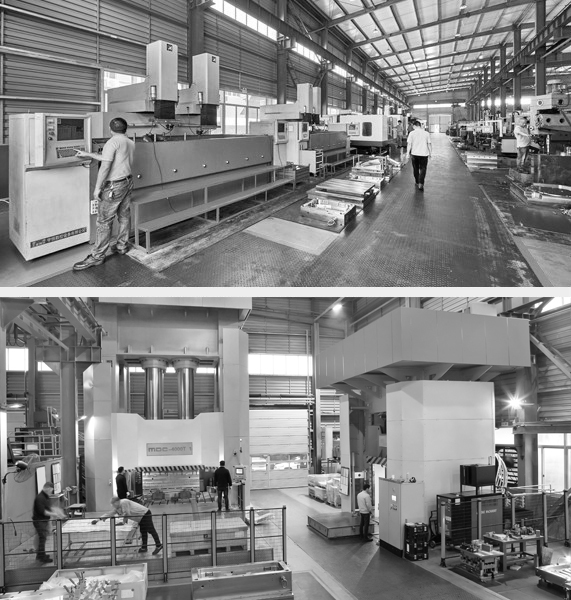 State-of –the-art equipment, leading edged technological process and first-class employees are the guarantee to supply our customers across the world with high quality mold and products. Our skilled technicians are capable of meeting and even exceeding the customer’s demands on quality with the help of state-of –the-art lathes, complex electric machining technology ,and unique manufacturing process. longer durability and high technology product. the highest level of readiness for production. Hydraulic cylinder we choose: Parker, HPS, Merkle, SMC. Etc. programmers, giving them total control over production and the flexibility of roughing or finishing. Our largest machine gives unlimited weight capacity and movements.